Looking to promote the insophe chapter? 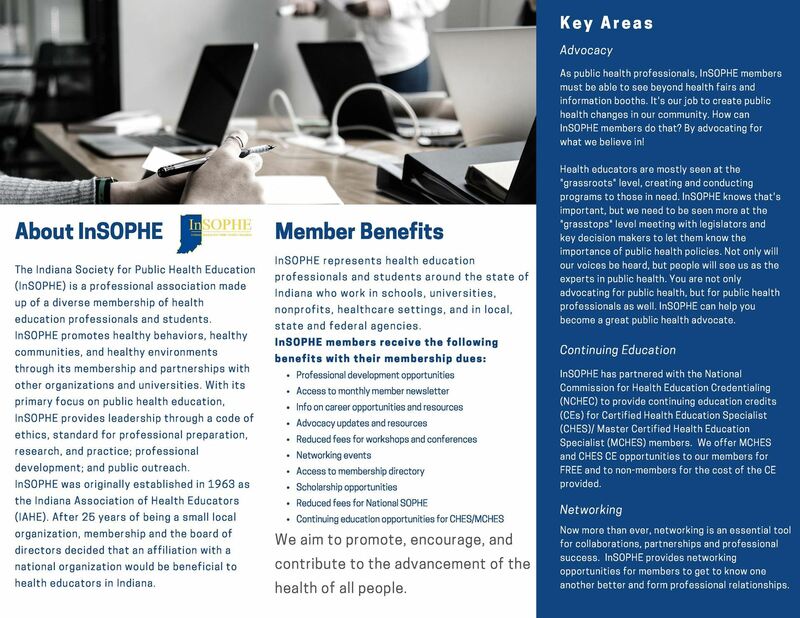 Help promote InSOPHE with our Membership Brochure or visit About Us to learn about available committees. If paper application is preferred, please download the Professional Membership Application or download the Student Membership Application and mail your payment to InSOPHE P.O. Box 44407, Indianapolis, IN. 46244.